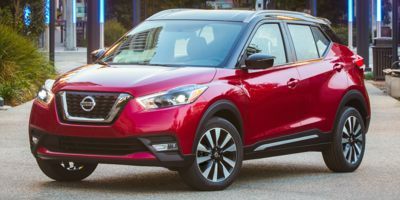 The 2019 Nissan Kicks is a 5 passenger Automatic transmission, 4-door Mid-Size Passenger Car. It is available in 3 trim packages, the S, SR, and SV. The new Nissan Kicks invoice price ranges from $17,970 to $20,210, while MSRP ranges from $18,640 to $20,970. The 2019 Nissan Kicks is available in 12 exterior colors, Aspen White Tricoat, Aspen White/Super Black, Brilliant Silver Metallic, Cayenne Red Metallic, Cayenne Red/Super Black, Deep Blue Pearl, Deep Blue Pearl/Fresh Powder, Fresh Powder, Gun Metallic, Gun Metallic/Monarch Orange, Monarch Orange/Super Black, and Super Black, and 1 interior colors, Charcoal.